Same Baggies love, but in a smaller package. The Barely Baggies™ Shorts, with a lower rise and shorter 2.5" inseam, offer the same features as our original Baggies: durable, 100% recycled nylon with a DWR (durable water repellent) finish, covered elastic waistband with inner drawcord, side-entry pockets with polyester mesh for drainage, right-front pocket with elastic key-loop and hidden top-entry mesh pocket and side slits on each leg. 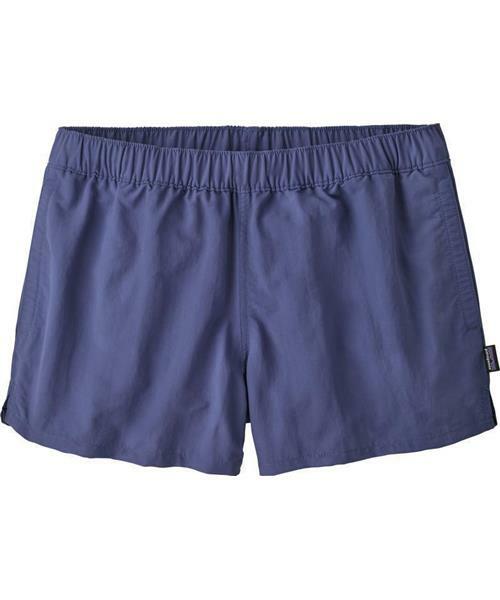 Barely Baggies Shorts, 2.5" Inseam - Womens is rated 5.0 out of 5 by 1.